The website curbed.com treats us on Monday, with an insight into this stunning mid century property. Property website houzz.co.uk showcases how to make your kitchen bright and modern with their specialised design tips. Reviews/Ratings. Do You Trust Them? Geekestateblog.com have asked consumers an important question, do you trust online reviews? A complete guide to making an offer on a home, supplied by zillow.com. Learn the latest tips and tricks. Sarah Beeny and tepilo.com have explained why you should make the kitchen a major part of your selling pitch. 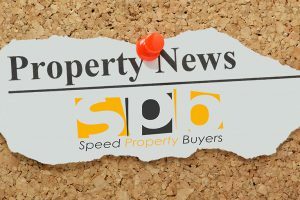 Property news website Propertywire.com have found with new research that gazumping has fallen in the UK property market, good news for buyers! Mortgage brokers and the telegraph.co.uk share their best tips for trying to secure a mortgage. The average London property price is set to hit £550,000 according to research posted on ftadviser.com. The peak will be reached by the year 2020. The amazing and creative series from rightmove.co.uk. This week they look at the town of Llandrindod Wells. Propertywire.com report good news for Scottish home buyers, with the market showing strong activity and progression. How Can We Fund An Extension? Theguardian.com have wrote a piece on helping you fund an extension for your home that can boost the value and desirability. American website hookedonhouses.net have offered an insight into this stunning Chicago home and the changes it receieved. Website propertywire.com has reported that over half a million property owners are planning to use their pension pot to pay off their mortgage. nreionline.com have released a cool graphic detailing the most expensive American States for commercial real estate, I can’t believe number one!